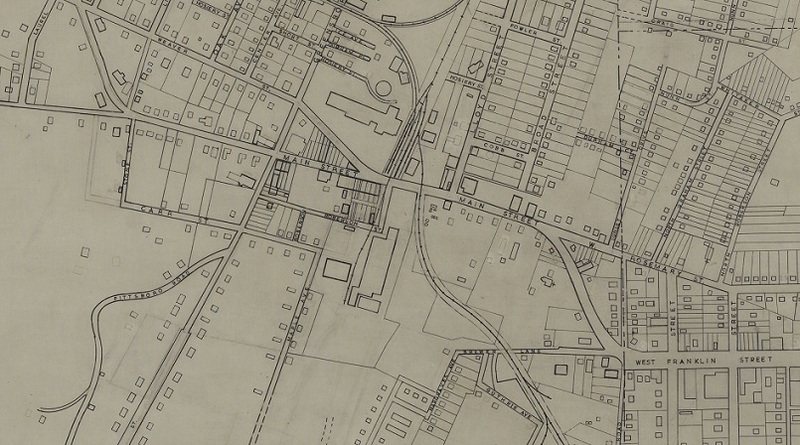 A portion of one map of Carrboro and Chapel Hill – showing Franklin St, Main St, and Greensboro St.
Nearly three dozen maps and blueprints have been digitized and added to DigitalNC, courtesy of our partner, the Chapel Hill Historical Society. Dating from 1929 to 1963, these maps really illustrate how much the city of Chapel Hill has changed in the last century. 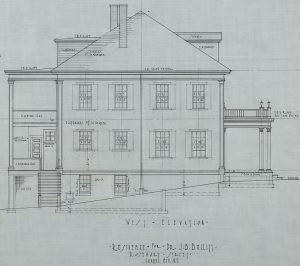 Blueprint of the west side of Dr. J.B. Bullitt’s house in Chapel Hill. 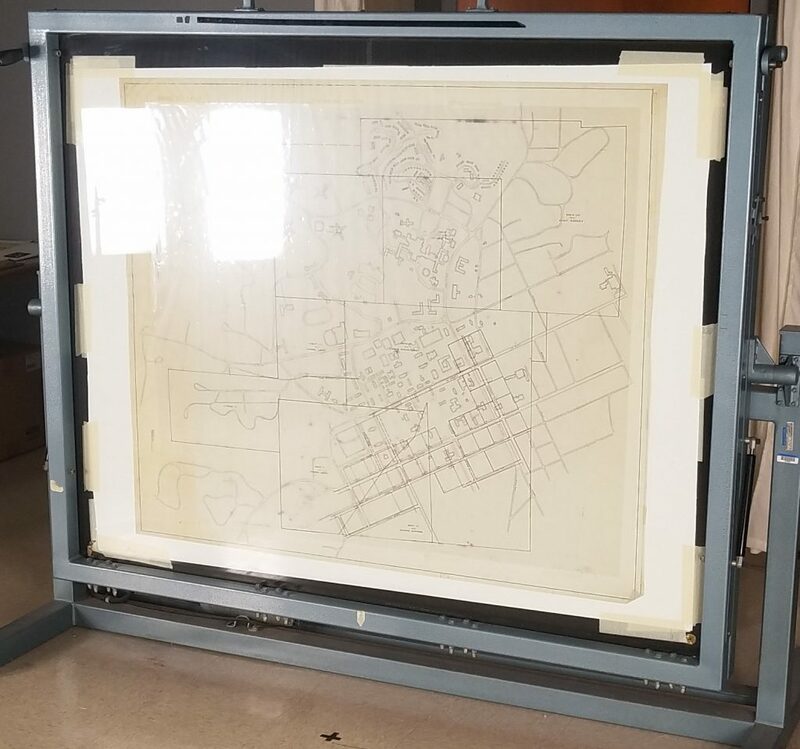 This new batch contains many different types of maps and blueprints, including cross sections of the Chapel Hill Municipal Building, a survey of East Rosemary Street, cross sections of local doctor J.B. Bullitt’s home, and Planning Board maps of the Chapel Hill and Carrboro region. Also included are maps for proposed developments of segregated cemeteries, which would have been established next to NC state highway 54. These maps are fascinating to see and compare to what we know of the area today, and to see how much has changed since these maps were created. These maps are very large, with some stretching out to be over 6 feet in length! While most could be scanned with our overhead PhaseOne camera (our process is documented on video here), several were so large that they had to be framed in a vacuum-sealed rotating container so that they can be preserved in the highest quality. Some of these largest ones took two different shots to compose together, resulting in images that were 7000 pixels tall by 11000 pixels wide. That’s far larger than anything even the most high-tech cell phone cameras can shoot. Having these maps and blueprints in our collection is very important, as it helps us understand the changes to the city which DigitalNC calls home. To see more from the Chapel Hill Historical Society, visit their partner page, or take a look at their website.